AUGUSTA, GA – The Augusta GreenJackets, Single-A Affiliate of the San Francisco Giants, have announced the 2nd Annual Clash of Cans Food Drive as a part of the festivities for Thursday, August 25th that will benefit the Golden Harvest Food Bank. The GreenJackets will host the Greenville Drive (Boston Red Sox) with the playoff chase heating up. The GreenJackets are asking local university alumni and students such as the Augusta University, Augusta Technical College, Brenau University, East Georgia State College, Georgia Military College, University of Georgia, Georgia Southern University, Paine College, University of South Carolina, and Clemson University to compete in the Clash of Cans food drive. Current students and alumni are encouraged to participate in the Clash of Cans as a friendly competition for bragging rights of your school. Bring a canned food item for the August 25th game (Last Thirsty Thursday of 2016) to support the Golden Harvest Food Bank and be entered to win prizes! Fans will put their cans in their favorite college’s bin and we’ll declare a winner in the 7th inning! “Golden Harvest Food Bank is excited that the Augusta GreenJackets are again hosting the Clash of Cans Food Drive. Please donate some canned goods when you come out to the game,” stated Carrie Jones, Special Events Manager for Golden Harvest Food Bank. August 25th also features College Football Night! 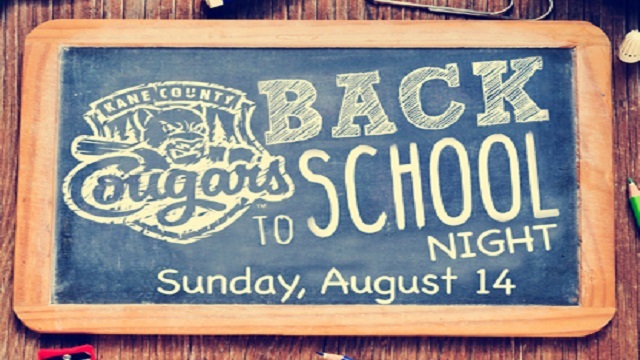 Guests are encouraged to wear their favorite school’s apparel to receive $2 off their ticket price for the night. During Thirsty Thursday at Lake Olmstead Stadium guests can enjoy one- dollar draft beers and Coca-Cola fountain sodas all night long presented by the Country Club Dance Hall and Saloon, The Hideout, Napleton Infiniti of Augusta & 93.9 BobFM. We’re also celebrating the 25th Anniversary of the Augusta Sports Council. You won’t want to miss this fun evening! The Clash of the Cans food drive begins at 6:00pm when gates open, and first pitch is scheduled for 7:05pm. The GreenJackets are “All In” as they make a second half playoff push and they need YOU. We invite you to Catch the Buzz and come out to Lake Olmstead to enjoy the fun. Plus the GreenJackets are closing in on their two millionth fan at the ballpark in 2016! The two millionth fan will win a fantastic prize pack stay tuned for more details! For more information, including pricing and benefits on all ticket plans, visit www.GreenJacketsBaseball.com or contact the GreenJackets Front Office at (706) 922-WINS (9467). To stay up to date with all things ‘Jackets sign up for the Buzz e-newsletter by visiting www.GreenJacketsBaseball.com/thebuzz. Local leaders in law enforcement are saddened by continuous reports of flooding in Louisiana and are calling on the public to help deliver assistance to families displaced by flood waters. The Rome Braves will be assisting in the effort and will open the parking lot across from State Mutual Stadium, where officers will be posted to accept donations. Police and deputies will be on hand to help with unloading of supplies and make the event more convenient for contributors. The event is scheduled to begin Thursday August 25, 2016 and continue through Saturday August 27, 2016 with hours of 10 a.m. until 8 p.m. every day. The Rome Braves will also give away two free tickets for Sunday’s game to every car as a special thank you to the public. Tickets will be available while supplies last. According to statistics provided by the Georgia Association of Chiefs of Police, more than 40,000 homes have been damaged and approximately 30,000 were rescued from their homes. All of those people are in need of fundamental supplies we take for granted, Shiflett said. “The flooding in Louisiana brings back painful memories of Katrina for many,” said Floyd County Sheriff Tim Burkhalter. “Though we cannot take the hurt and pain of the past away, we can do something to help soften the blow for the more than 100,000 people who have registered for assistance. AutoMax Rent-a-Car is donating use of a truck to use during the drop off this week and Scott Logistics will be shipping the supplies at no cost from Rome to Louisiana. Officials are asking for donations of toiletries, cleaning supplies, baby formula, diapers, paper products, new underwear in the pack, bath towels, wash cloths, laundry detergent, bleach, lotion, toothpaste, deodorant, soap, body wash, and feminine hygiene products. 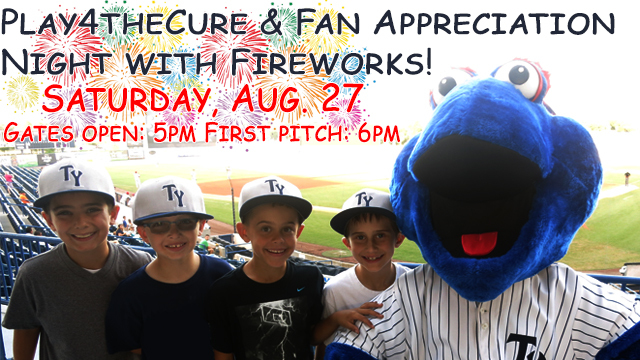 For more information you can contact the Rome Braves at 706-378-5100. JACKSONVILLE, Fla. – The Jacksonville Suns will raise money for victims of flooding in Louisiana during their homestand at the Baseball Grounds of Jacksonville Monday, Aug. 22, through Thursday. Aug. 25, while their fellow Miami Marlins affiliate, the Triple-A New Orleans Zephyrs, also raises money for relief efforts during their coinciding homestand. “Thanks to the New Orleans Zephyrs and American Red Cross, people in Jacksonville have an opportunity to make immediate impact hundreds of miles from the First Coast,” said Suns Director of Community Relations Andrea Williams. The Bristol Pirates are excited to host the first-ever specialty jersey night at Boyce Cox Field next Thursday, August 18, when the Pirates play host to their division-rival Johnson City Cardinals. Pirates’ players and staff will sport special jerseys for the one game, in support of the Paralyzed Veterans of America (PVA), courtesy of the generous support of Food City. NASCAR legend and PVA supporter Richard Petty will be on hand to throw out the ceremonial first pitch, along with NASCAR driver Aric Almirola and the president of the PVA, Bill Lawson. Following the game, Petty and the player or staff member wearing each jersey will autograph the jerseys. During the game, fans can bid on the jersey of their favorite players in a silent auction conducted in the ballpark pavilion on the third-base side of the field. Following the game, until the end of the Pirates’ regular season, bidding will continue online at www.milbauctions.com. Gates will open early at the special time of 4:30 p.m., for this game, which promises to draw a large crowd. The game will begin at 5:30 p.m., and fans are invited to stay after the game and enjoy the transporter parade as it makes its way down Euclid Avenue, past the ballpark. It is expected that the parade will also feature fireworks. For more information on the Pirates, visit www.BristolPiratesBaseball.com. To keep up with breaking news, follow the Pirates on Twitter (@PiratesNBristol) or visit their Facebook page. GENEVA, Ill. – The WTTW Kids Readers are Leaders event is coming to Fifth Third Bank Ballpark on Sunday, August 14 before the Cougars take on the Cedar Rapids Kernels for Back to School Night at 1 p.m. To purchase tickets, visit www.kccougars.com. Gates for the event will open at 11 a.m. with festivities beginning in the Music Garden, presented by the Acres Group, at 11:15 a.m. Each person with a ticket for that day’s game will be allowed entry into the ballpark for the free, family-friendly event. Featuring sing-along songs and interactive stories with Miss Lori’s CAMPUS, the event is geared towards young children and their families to help support literacy development throughout the summer. The game is also a Sunday Funday, presented by Dave & Buster’s, which includes free entertainment and discounts for kids in the KidZone area. Activities include pre-game Catch on the Field and an autograph session with Cougars players. The deals don’t stop there as Sunday is Kids Eat Free at the Cougars with all children between the ages of 3 and 10 receiving a voucher at the gate for a free hot dog and small soda.